recommended for: Fans of Daughter of Smoke and Bone by Laini Taylor, Ember in the Ashes by Sabaa Tahir, The Winner's Curse by Marie Rutkowski, and tragically beautiful fairy tales. Rarely does a book so thoroughly mesmerize me. Usually books I like have good plots, maybe some particularly nice writing, maybe well-developed characters. But to have all these things and also have presence is really remarkable. What is this presence? It's an unseen quality, determined by the book's tone, it's whole package, the way it worms into your soul. It's most easy felt as an absence after that last page. And when I finished The Wrath and the Dawn, it took me several dazed trips past my shelf before I could even begin to consider my next read. "Book hangover" only begins to describe it. Wrath is a product of the recent trend in fairy tale reimaginings, but like Mechanica by Betsy Cornwell or A Court of Thorns and Roses by Sarah J. Maas, it builds its own world on the source material's scaffold. So, loosely, we have our Khalid, the mad emperor sentencing his brides to die each dawn. There is Shazi, the friend of one of those brides, determined to be next in line--and to stop the executions forever, even if the Caliph's head is the price. Shazi's first night, she tells a story so spellbinding that Khalid stays her execution. It's 1001 Nights in a nutshell. And it's only the beginning. Shazi struggles to reconcile the kind, clever Khalid, beloved by his courtiers and friends, with the murderous Caliph who executed her friend. In her search, she discovers the cataclysmic secrets surrounding the executions. What she decides to do with the information will determine more than her fate. Khalid himself struggles with duty to his people and a wild, fiery girl he never expected. On the outside, Shazi's father and childhood sweetheart ally themselves with dangerous forces, both magical and human, to bring down Khalid and recover their realm. The tension becomes suffocating as plans tangle, intertwine, and unravel in disastrous ways. The story is exciting, part rebellion and part romance, but it rests on the shoulders of a magnificent cast We're given multiple POVs including Shazi, Khalid, Shazi's sweetheart, and Shazi's father. I often gripe about too many POVs, but in this case I think Ahdieh does a marvelous job of layering the perspectives carefully, so that they enrich rather than repeat each other. The dramatic irony and foreshadowing throughout is electric. I swear I gasped while reading. And between the tense, climactic scenes, there are softer, truly human moments. Acidic banter between Shazi and Khalid, or currents of understanding between them. The quiet shame of Shazi's father. Shazi's spirited dealings with her maid-become-confidante and the military higher-up, Khalid's best friend. Each character, however small their role, has their own complex motivations and secrets. They each have a story and endearing quality that gets you invested. They also each have real, damaging flaws--not the kind authors throw in to "round out" a character, but real faults that create devastating consequences. And even for a cynic like me, the romance, despite its quick progression, was heart-stopping. Shazi and Khalid see their equals in each other and treat each other as such. Ahdieh doesn't confuse possessiveness and attraction for deep, true understanding. 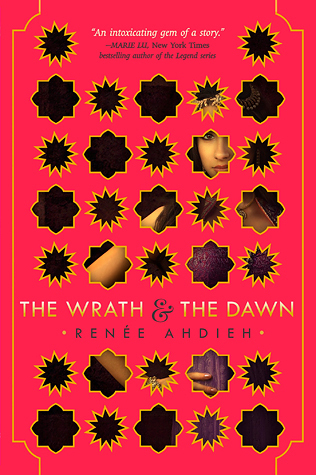 If this were all not enough, Wrath is written so beautifully that I could believe Ahdieh descended from the very author who penned Arabian Nights. Her command of Middle Eastern culture and careful weaving of it into her own magical world is impressive. I hope the food she describes exists somewhere, because damn will you want to eat every page. You can hear her characters speaking. Even the dreaded sappy lines feel pulled from the lips of some lover somewhere. And her descriptions are as lush and vibrant as a sultan's treasure room, without being overly flowery. I felt magical after finishing this book. My soul demands more. The Wrath and the Dawn is an artwork of a novel, intricately woven with authenticity and pathos, with characters who will become your mind's new friends. will i read this author again? Yes, a thousand and one times yes! will i continue the series? Considering I fell into deep despondency as soon as I finished it . . . yes. Note: I purchased this copy . The price of the book and its origin in no way affected by stated opinions. 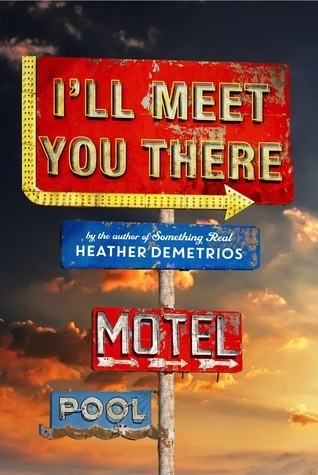 You've gotten me so super duper excited to read this book, definitely need to get my hands on it! :D Great review! YAY! That was my intention! I hope you love it! Thanks for writing such a great review of The Wrath and The Dawn. Definitely sounds like one for my TBR list! Great review! I was really surprised by how much I loved this one too. The writing is amazing and the characters are so fantastic. I wasn't so surprised. I had a feeling this was going to be a favorite. OH, the writing! YES, right!? It was like living in the palace, and the writing was SO FREAKING PRETTY. The ending is definitely abrupt, but I didn't even mind much, except that now I have to wait FOREVER. I do think she could have closed up something though. At least making it feel like something was resolved, even though many things weren't. But whatever, so much love for this. Thanks! It would be difficult to like it as much as I did. ;) The romance is one of my favorites! And I'm pretty hard to please in that area Thank you, as always, for your comment love!